US Military Apologises: The tweet was accompanied by a video showing a B-2 bomber dropping bombs, followed by explosions on the ground. US Strategic Command, which oversees the country's nuclear arsenal, apologised for a Twitter message saying it was ready if necessary to drop something "much, much bigger" than the New Year's Eve ball in New York and showing a clip of an aircraft releasing bombs. "#TimesSquare tradition rings in the #NewYear by dropping the big ball...if ever needed, we are #ready to drop something much, much bigger," the tweet said, hours before the midnight descent of the illuminated ball in New York's Times Square marking the arrival of the new year. 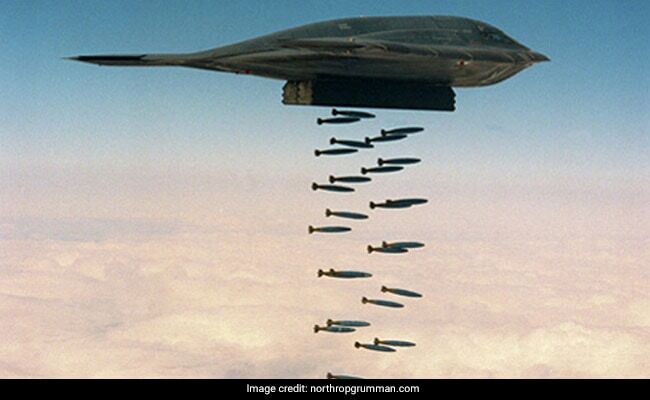 The video showed a B-2 bomber dropping bombs, followed by explosions on the ground. The message touched off many critical comments on social media. Mary Fahner-Short, using the handle @maryfshort, wrote on Twitter: "Why is @US_Stratcom joking about nuclear war? #shameful."